« Box #1: Oodles of Spring Greens! Thank you for the positive remarks about the first box! You may notice that this week’s selection is very similar to the last. Two reasons: we want to offer you the spring produce before it succumbs to the 104 degrees forecasted for this weekend. Enjoy it while it lasts! Also, we’ve had some insect damage to two of my personal favorites, kale and collards, so we have excluded that from the box. I hope to be able to include them soon. Too many salads? 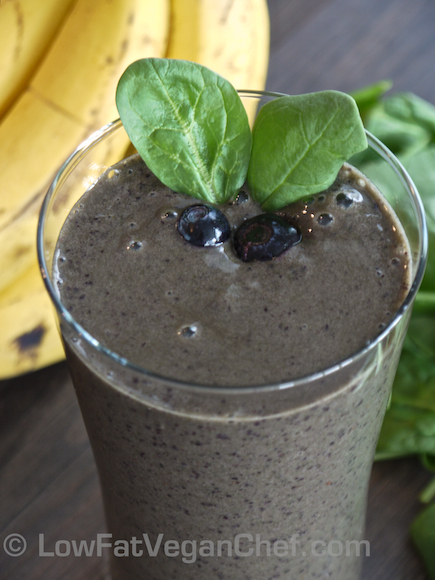 Well then, check out the recipe below for a GREEN smoothie! Perfect for a hot summer day. Baby Fennel – the sweet bulb and stems can be thinly sliced in a salad. Try out the fronds to garnish any meal! 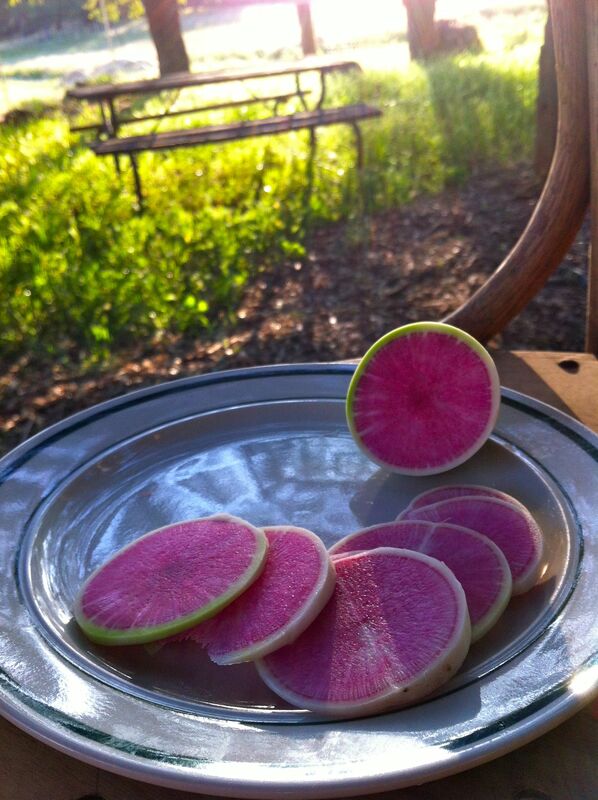 Watermelon Radishes – spicy, and beautifully magenta inside. Raw or sautéed. Fresh Dill – try it in cooked rice or quinoa for a little something different. We farmers are up at daybreak and generally take a “siesta” midday; we avoid the hottest part of the day, and return to the fields in early evening. The plants have no such option. We’ve strung up 30% shade cloth over the more sensitive greens, hoping to extend their lifespan and flavor with a little sun protection. For the potatoes, we’ve laid down a heavy mulch of grass clippings to keep out the weeds and the sunlight, which causes green spots on tubers. The heavy mulch will also reduce the soil temperature, thereby reducing the evaporation and our water usage. Place ingredients into blender in the order above putting the bananas on the bottom. Add a little water if desired to help it liquify. I find that having frozen fruit gets the smoothie cool enough without the need to add ice. Unless you have a Vitamix adding ice to a smoothie can make it too gritty and not very smooth to drink.